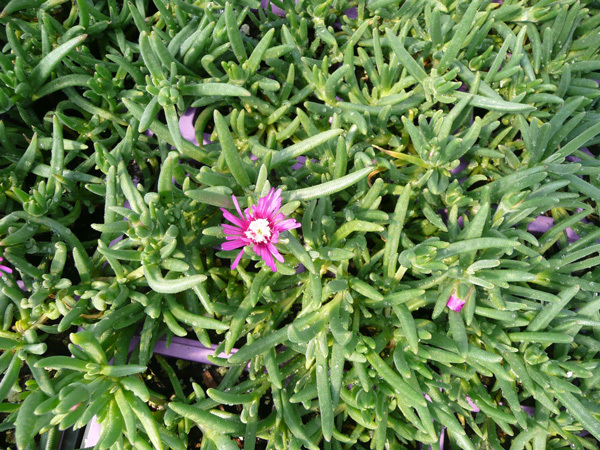 The hardy Ice Plants are native to dry areas in South Africa but are amazingly hardy in North America, provided they are grown in very well-drained soil. 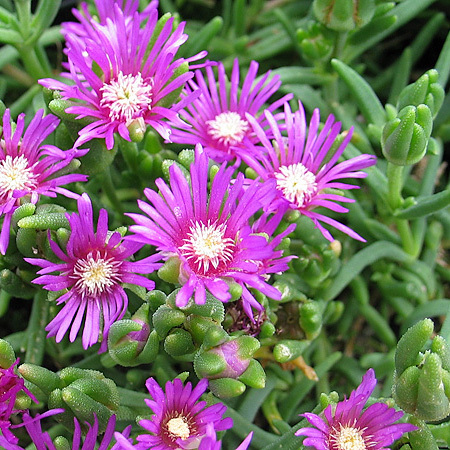 This species forms a low mat of succulent, evergreen leaves, bearing loads of small, starry purple flowers in early summer, then on and off through the season. 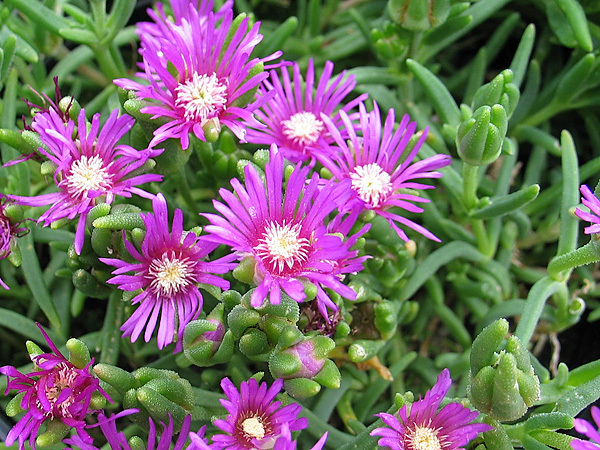 Ice Plant is an an excellent groundcover for hot, dry slopes, and will tolerate poor sandy soil. Also nice growing in tubs and mixed containers, in the rock garden, or as an edging. In regions with cold, wet winters this usually performs as an annual. Can be wintered indoors in a pot.